LIAM 008 - Set Yourself Up for Victory; Learn from Your Successes! - Life Is A Marathon: Life Coaching | Mentoring | Personal Development | Positive Thinking | Personal Branding - The #1 Podcast to help you train for this marathon of life! LIAM 008 – Set Yourself Up for Victory; Learn from Your Successes! In Episode #8 of the Life Is A Marathon show, I speak about the importance of setting yourself up for victory and of learning more from your successes than from your failures. Far too often, through the way we think and speak, we project the opposite outcome we actually want. We say and think more about what we don’t want than about what we do want. I also address how the popular business “buzz” is to “fail fast” and learn from our mistakes. I disagree! It’s best to “win fast” and build on our successes! Dan Erickson: I’m reading a book called “Rework” and the authors would disagree. The idea of failure to succeed is overrated. What if we push ourselves to the point of success? I agree – we learn much more from our successes than we do from our failures! Celebrate the victory when it is accomplished! If you try to fail fast, you will! You’ll see how many victories you have! I’ve also blogged about this: Set Yourself Up for Victory; Learn from Your Successes! 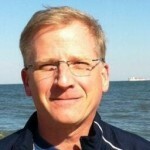 Bruce Van Horn – Discover your potential. Push yourself to the point of failure! 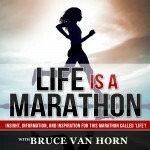 Bruce Van Horn – You CAN Go the Distance! 2 Responses to LIAM 008 – Set Yourself Up for Victory; Learn from Your Successes! Great podcast, Bruce. I think the initial post I commented on did make the point that we should be driven toward success, but there is an overuse of the word failure in our current business culture. You did great at rephrasing the idea in this podcast. Dan, I really appreciate you taking the time to listen and for giving me the feedback which breathed life into this topic! Thanks for your support!